Fast Rising Ghana youngster, Hans Nunoo Sarpei has lauded the “all Ghanaian” technical team appointed to handle the Black Stars. Kwesi Appiah,who made a second return to the Black Stars on a two year contract is supported by former internationals, Ibrahim Tanko, Maxwell Konadu, Richard Kingson and Stephen Appiah. The new look technical team made a bold step towards qualifying for the 2019 AFCON after guiding the Black Stars to a 5-0 thumping of Ethiopia at the Kumasi Baba Yara Stadium. 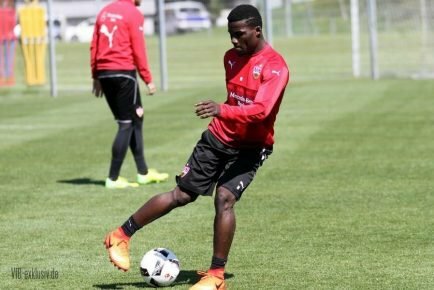 The VFB Stuttgart midfielder makes reference to the German system where indigenes are given national team jobs and believes the new look Black Stars technical team is the best appointment. "The Germans will never give anything to an outsider,never".He added. Hans Sarpei started his career with Dansoman based Liberty Professionals before joining Accra Great Olympics on a short term deal. He later returned to Liberty Professionals where he was spotted by an agent in a justifier organized to hunt for talents. He joined Hellas Verona in Italy after qualifying from the talent hunt in Ghana. 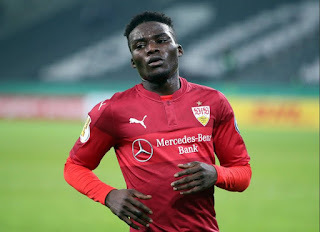 Contractual issues truncated his development in Italy and was forced to join his uncle and former Black Stars left back, Hans Adu Sarpei in Germany. 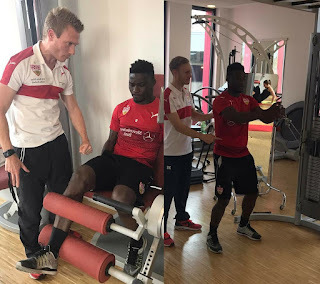 Nunoo Sarpei later had trials with German lower tier sides before joining Schalke 04 and TSG Hoffenheim for trials where he had a torrid time. He later became a coach's favourite at Hoffenheim but had to move to Stuttgart after impressing at the club. He is expected to become a main stay in the team that gained promotion to the German Bundesliga last season. He will play alongside Ghana Black Stars latest midfield sensation, Ebenezer Ofori in next season's German top flight league.